A: Serious collectors of masks should skip this. It’s not a real mask. Instead, it is a piece of decorative art meant to be sold to tourist visiting the beautiful province of Hunan in the south-west China. 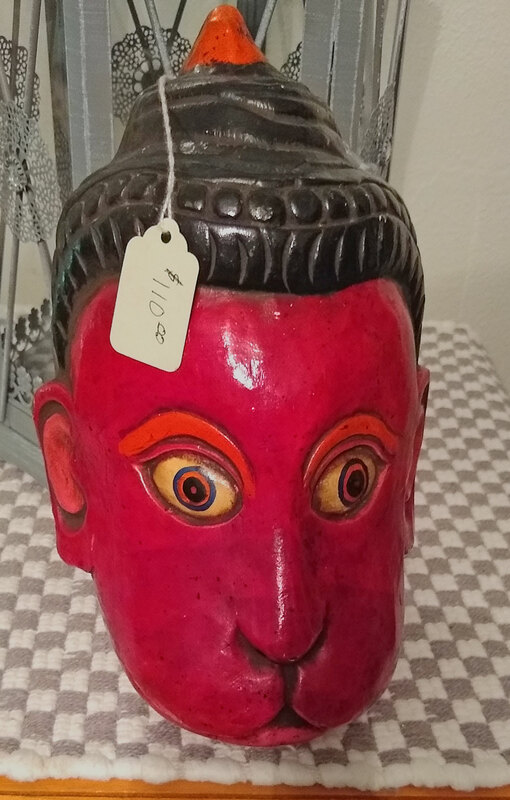 It has no eye holes or straps, and it has been antiqued to make it look old and used. You will find it difficult to see this dance nowadays, except some occasional performance in the areas inhabited by minority groups living in the Southwest China (Guizhou, Hunan, Yunan and Sichuan). 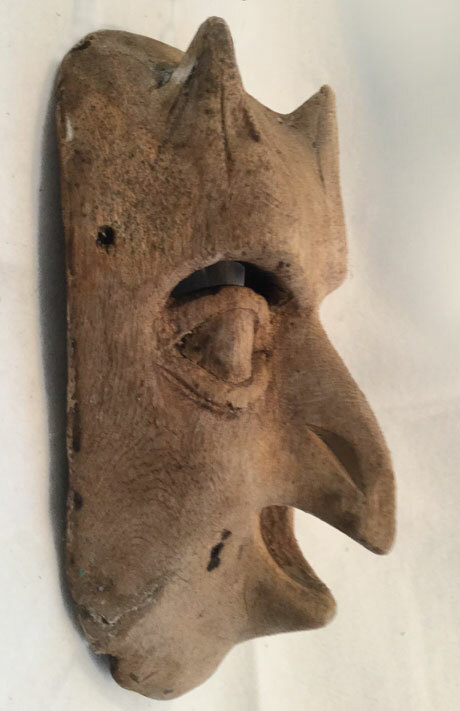 These masks are carved in the shape of either amiable or frightening animals along with a legendary figure. 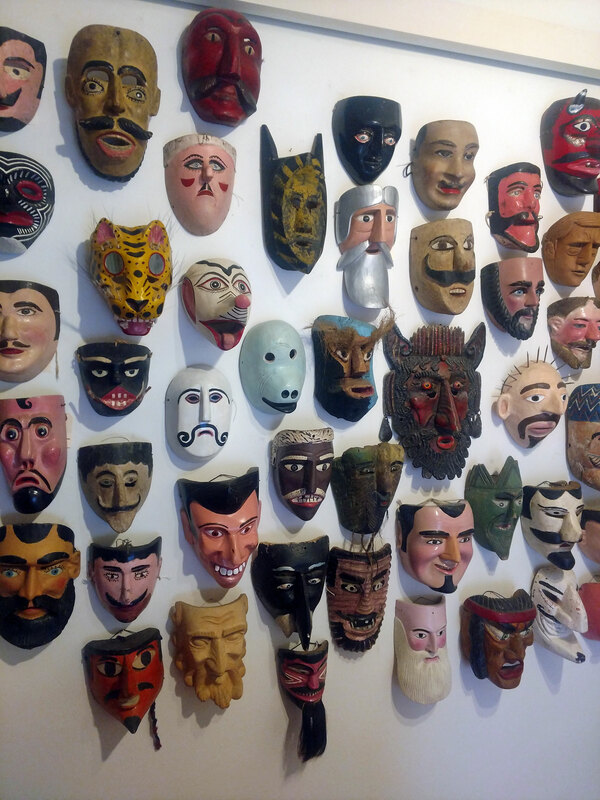 In the old time village people believe these masks could keep away the evil spirits and bring them good luck. In 2006, Chinese government aligned with United Nation UNESCO heritage policy, accredited Chinese Nuo Dance and its Mask an Intangible Cultural Heritage, recognizing its contribution on cultural diversity and human creativity, and safeguarding this human treasure to be kept alive.